Oxnard, Calif. -- The California League is proud to announce its Executive Awards for the 2013 season. The Rancho Cucamonga Quakes is the Cal League's Organization of the Year. It was a tremendous year for the Quakes. A year after upgrading the home clubhouse, visiting clubhouse and umpire rooms they continued the stadium improvements with another round of upgrades that included a new batting cage. These additions have improved the experience of being in Rancho for the players, coaches and umpires. Attendance and revenue continued to increase as well. In 2013, the Quakes increased attendance by seven percent, hosted a sold-out Los Angeles Dodgers exhibition game to start the season and increased total revenue by 20 percent. Also in 2013, the Quakes secured a 10-year naming rights partnership with LoanMart and re-named the stadium LoanMart Field. The Quakes have become a vital part of the Rancho Cucamonga community. They work with their different partners to host fundraising events that make thousands of dollars for local charities, award college scholarships and promote education in local schools. Rancho Cucamonga is the Cal League's nomination for the John H Johnson award given to the top organization in Minor League Baseball. The Lake Elsinore Storm won the first-ever Excellence in Community Service Award. The Storm will be the Cal League's nominee for the John Henry Moss Community Service Award that MiLB gives to the team with the best service in the local community. The Storm had multiple drives and ticket offers to benefit many worthwhile causes such as Carson's shoe drive to benefit Kawasaki Disease, Princess Night where fans donated used prom dresses, back-to-school supply drives for under-privileged kids and canned food drives to name a few. The Storm held a Cancer Awareness Night that was inspired by the passing of a loyal Storm fan where both teams wore gray jerseys (brain cancer) in recognition of the fan. Proceeds from the night went to benefit the American Cancer Society. Other Storm efforts in the community included over $10,000 donated to local little leagues, a Special Olympics Bocce Ball Tournament, blood drives, an Anti-bullying Night, Non-profit Nights, fundraising for handicapped children, Make A Wish Night and a new initiative called Play it Forward that rewards citizens for their efforts in building a more positive place to live. Assistant general manager Raj Narayanan was also Murrieta's 2013 Citizen of the Year. The 2013 Cal League Champions, Inland Empire 66ers, were named the winner of the Excellence in Marketing and Promotions Award. This season the 66ers put together one of the most aggressive and successful promotional schedules in the team's history. 66ers fans enjoyed nine firework shows, 15 giveaways and a number of themed nights during the 2013 season that including two MiLB promotion of the month nominations with Farewell to Twinkies Night and Zombie Apocalypse Night, which is currently up for a Golden Bobblehead. Through the strong promotional lineup the team saw a double-digit increase in attendance of over 11 percent from the 2012 season. As a result of winning the award, the 66ers will be the Cal League nomination for the Larry MacPhail Trophy given annually by MiLB to the team with top promotional efforts. Derek Sharp was named Executive of the Year for the California League. As general manager of the Lancaster JetHawks, the team saw a 23 percent increase in overall gross revenue vs. 2012, a 79 percent increase in net profit vs. 2012 and the largest total in-park attendance in 11 years. Additionally, Sharp oversaw the expansion of the following community initiatives: annual pre-season Autism Awareness Walk that raised $15,000, the Laps 4 Literacy event donated more than 20,000 books to local families over the last three years, the expansion of the JetHawks reading program participated by 20,000 students and the expanded involvement in Youth Sports, which now includes 10 leagues over a 100-mile territory. As the youngest female GM in Minor League Baseball, Jennifer Pendergraft of the Visalia Rawhide is the winner of the Woman of Excellence award for the California League. In her first season as GM, Visalia has seen record revenues and profitability. Despite hot weather conditions (20 games with 100-plus degree temperature), the team saw the third-highest attendance figures in franchise history. She increased non-game day events from 15 to more than 50 in 2013 and installed a kids splash zone for fans to get out of the worst heat in 30 years. The Rawhide's Reverse the Curse campaign gained national attention and centered around a true story about a former Visalia player, his pet alligator, and the effort to end a 35-year Cal League title drought. Her signature programs include the very popular Belle of the Ballpark, Helicopter Candy Drop and half-priced boot mug beers have become Visalia mainstays. By winning the award, Pendergraft is in the running for the Rawlings Woman of the Year Award presented by Minor League Baseball to the nation's top female executive. Cal League president Charlie Blaney said, "The winners of these prestigious League Awards were voted by their peers in the league, and they have all been submitted as the Cal League's Nominees for National Honors to be awarded at Baseball's Winter Meetings in December. 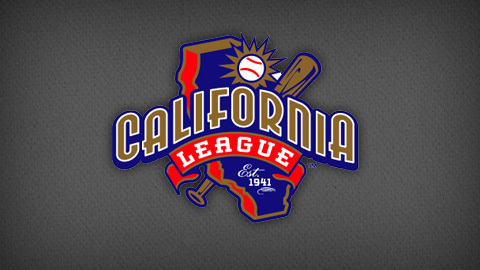 The Cal League is very proud of our winners."